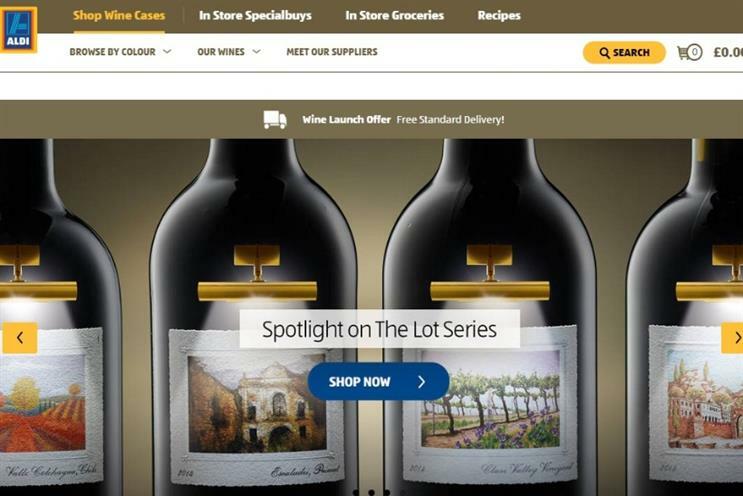 Aldi has made its first foray into online retail with the launch of a wine ecommerce site as it continues to take the fight to the big four supermarkets. The German discounter is investing £35m in launching its ecommerce presence, which has begun with the sale of wine and is set to be followed by non-food ‘Special buys’ later in the year. Special buys include cycling wear, electrical items, clothing and camping equipment. Aldi is currently offering free delivery on wine deliveries as a special launch promotion. Customers will be charged £3 for delivery on any orders under £50. Aldi’s move into ecommerce comes as the online grocery market increasingly heats up. Rumours are currently circulating Amazon is seeking to buy Ocado as a way of launching its Fresh online grocery proposition, which exists in the US, in the UK. Ocado has previously stated it was eyeing international partnerships, but the company has made no announcements. Aldi first said it would be entering the ecommerce fray in September as it revealed record results. The grocer revealed record sales of £6.9bn in its last financial year, an increase of 31% and the equivalent of £31m in extra sales revenue every week during 2014. Aldi and Lidl are continuing to erode rivals market share. They added 1m more shoppers over the year, while Asda suffered a 3.5% sales slump over the Christmas period, according to data from Kantar Worldpanel. Aldi’s aggressive store roll-out is also continuing apace. It opened 65 stores in 2015, up from 54 in 2014.